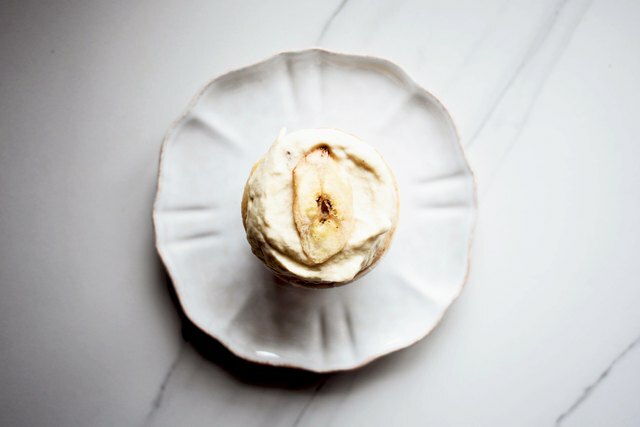 Ripe bananas, cream, vanilla, cinnamon and sugar are all you need to make a delicious, light and fluffy banana cream frosting. 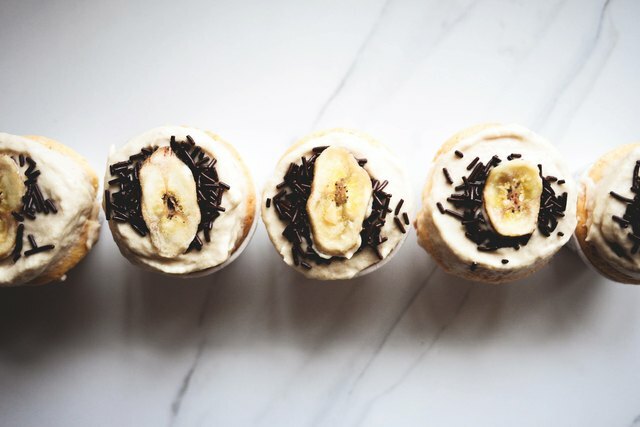 This recipe will make enough to frost 24 cupcakes or 1 large cake -- so you have plenty on hand to sweetly slather over all your baked goods. In a medium sized bowl, mash the bananas until they are smooth. Set a fine mesh sieve over a medium sized bowl. 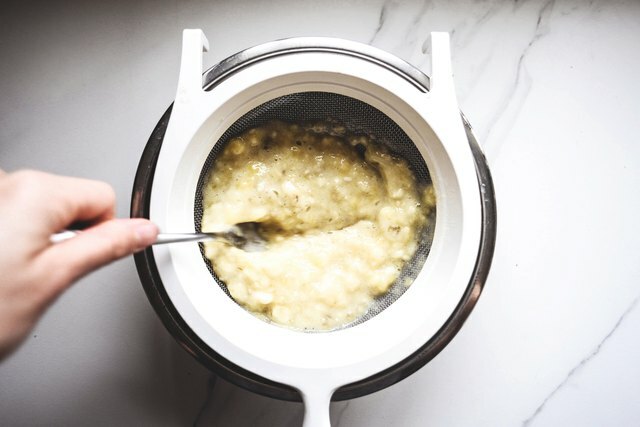 Pour the mashed bananas into the sieve and use a fork to vigorously push it through until you have a smooth banana puree in the bottom of the bowl. Set aside. 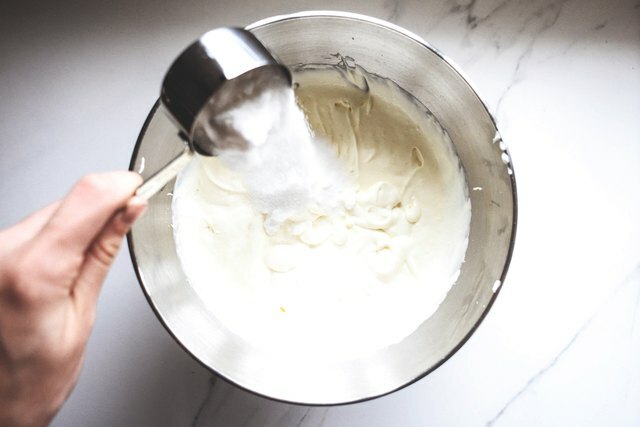 In the bowl of a stand mixer fitted with the whisk attachment or with a handheld electric whisk, whisk the cream on medium speed until it begins to thicken and form soft peaks. In a steady stream, add in the sugar. Whisk until combined, and then add in the vanilla (and cinnamon, if using). Whisk on high speed, until medium peaks form, then add in the mashed bananas. 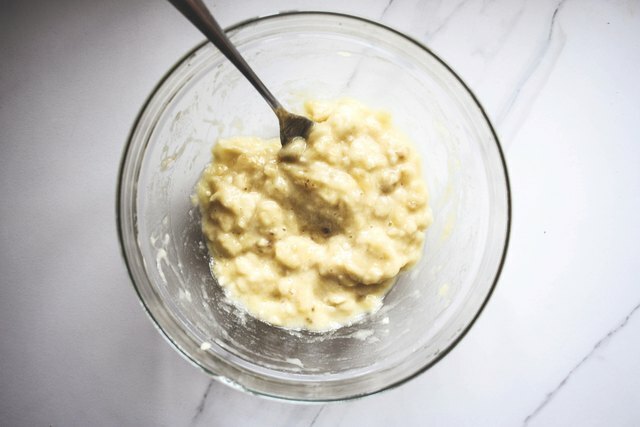 Continue to whisk on high speed, until the mashed banana is evenly distributed throughout and the mixture is smooth and thick, 30 to 45 more seconds. Your frosting it now ready use with your favorite baked goods. 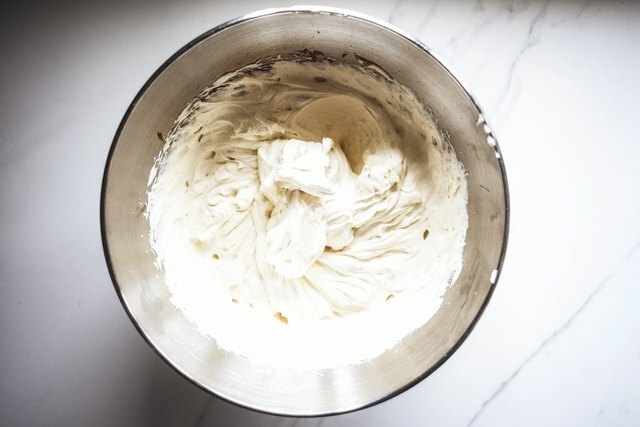 For best results, whisk the cream just before frosting your cakes, or cupcakes. You can also chill the cream in the refrigerator before use. 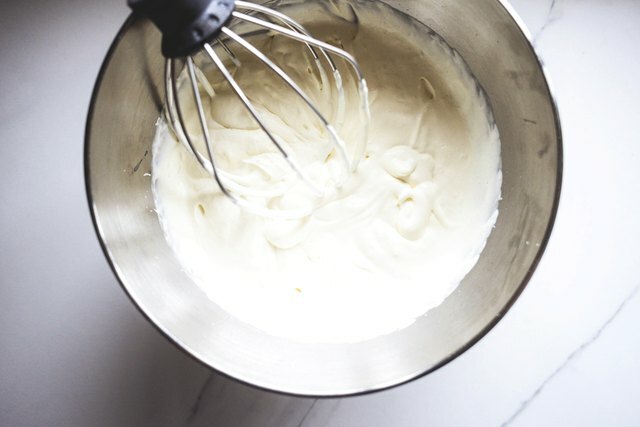 If you have noticed that it slightly deflates, whisk it again to form stiff peaks.